Listing courtesy of Fadal Buchanan & AssociatesLLC, Dolores Fadal. 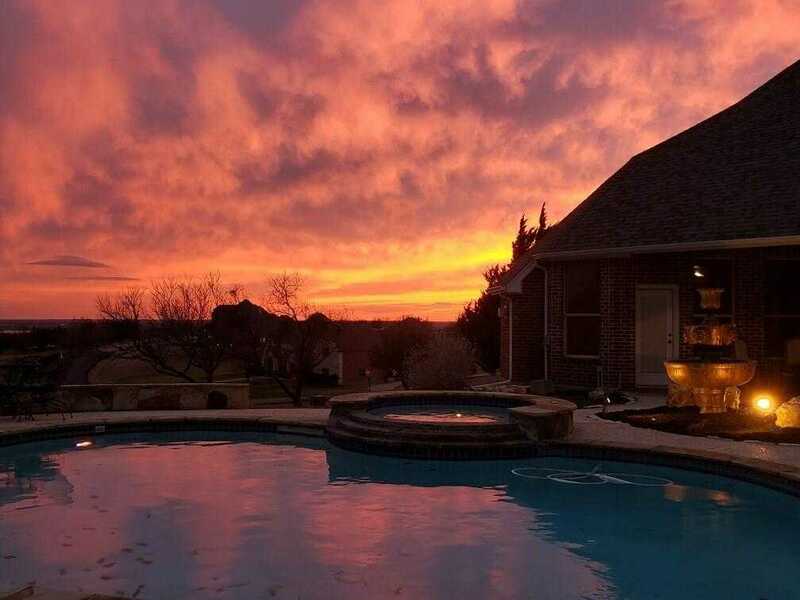 ENJOY OUTSTANDING VIEWS OF EAGLE MTN LAKE FROM THIS BEAUTIFUL TOP OF HILL 4-3-3 IN GATED COMMUNITY. HEATED POOL WITH SPA, LRG GAMEROOM OR MEDIA ROOM UPSTAIRS. KITCHEN HAS CUSTOM CABINETS AND TRAVERTINE TILE WITH LRG BRKFST AREA AND ISLAND. HIGH VAULTED CEILINGS, CROWN MODLING AND BUILT-INS. FIREPLACE IN DOWNSTAIRS MASTER WITH SEPERATE LRG TILE SHOWER AND JETTED TUB. HAND SCRAPED HARDWOOD FLOORS. MUCH MORE! Please, send me more information on this property: MLS# 13992413 – $494,900 – 9900 Harbour View Lane, Fort Worth, TX 76179. I would like to schedule a showing appointment for this property: MLS# 13992413 – $494,900 – 9900 Harbour View Lane, Fort Worth, TX 76179.